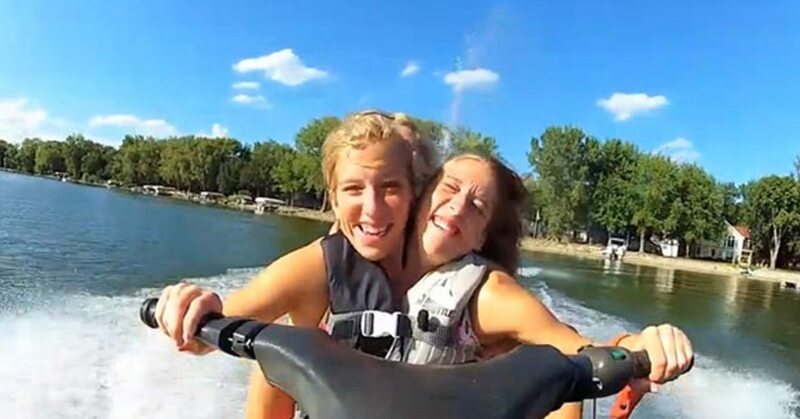 Abby and Brittany Hensel are conjoined twins. The two became household names after they let the media into their unique lives for a program on TLC. 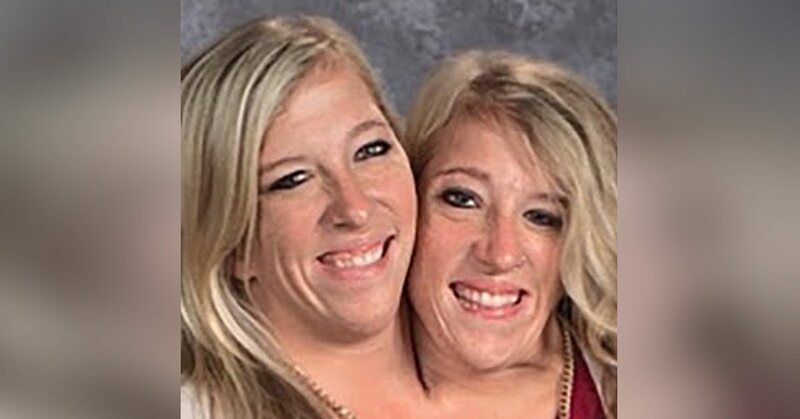 The twin sisters share the same body but have several organs that are different. They do not share a heart, stomach, spins, lungs or spinal cord. 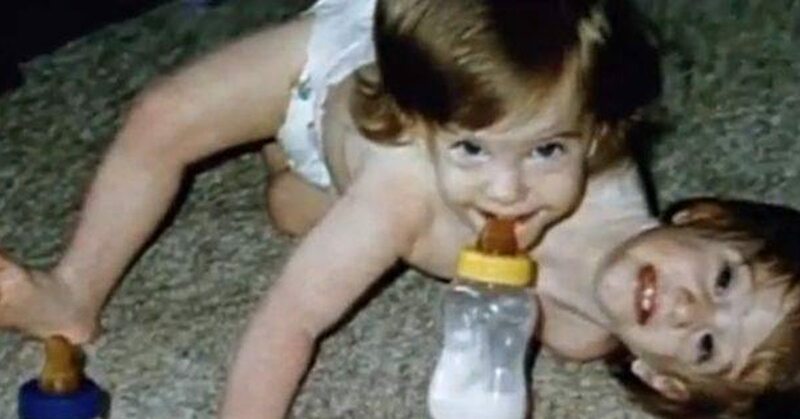 The twins were born in Carver County, Minnesota, to Patty, a registered nurse, and Mike Hensel, a carpenter and landscaper. They have a younger brother and sister. They were raised in New Germany, Minnesota, attended Lutheran High School in Mayer, and graduated from Bethel University in St. Paul in 2012. 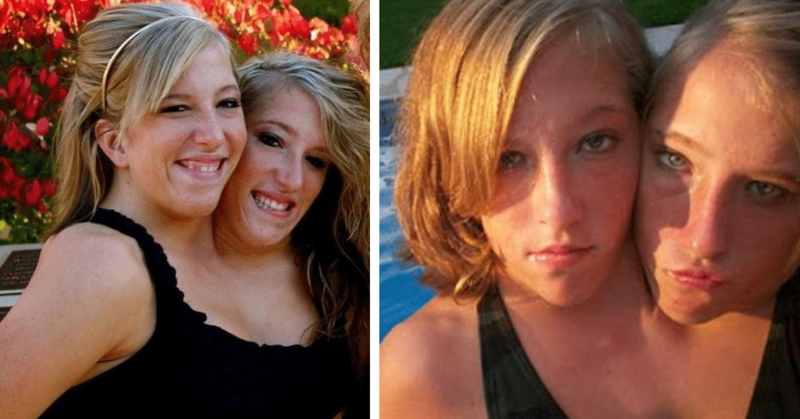 Conjoined twins are quite rare and that is the reason Abby and Brittany’s story has become so popular. The two have been featured in programs on several media outlets and the world is fascinated with these unusual sisters. Here are some interesting things you may not know about the Hensel twins. Each twin controls her half of their body, operating one arm and one leg. As infants, the initial learning of physical processes that required bodily coordination, such as clapping, crawling, and walking, required the cooperation of both twins. While they can eat and write separately and simultaneously, activities such as running and swimming require them to coordinate and alternate their actions symmetrically. Other activities as diverse as brushing hair and driving a car require each twin to perform separate actions that coordinate with the other’s. 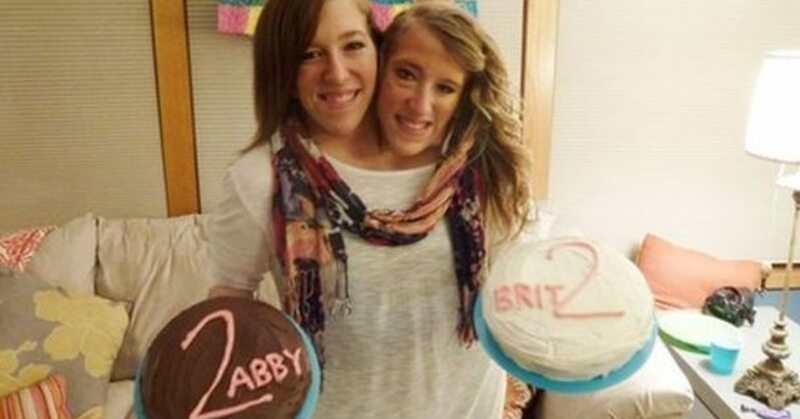 Abby and Brittany are one of the rarest sets of conjoined twins. 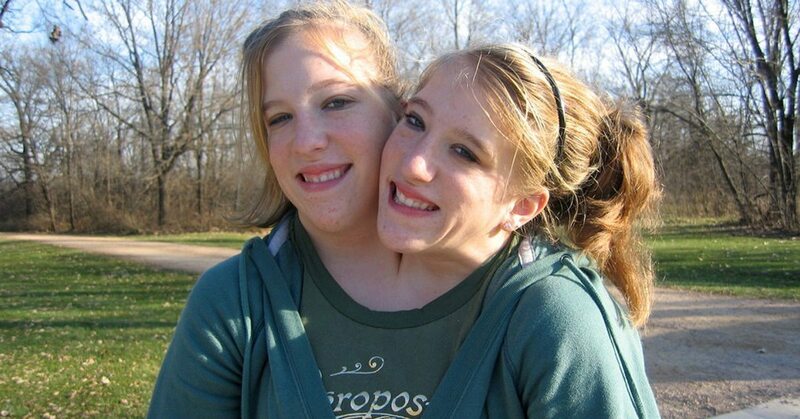 Conjoined twins usually occurs once in every 200,000 births and the survival rate is very low. 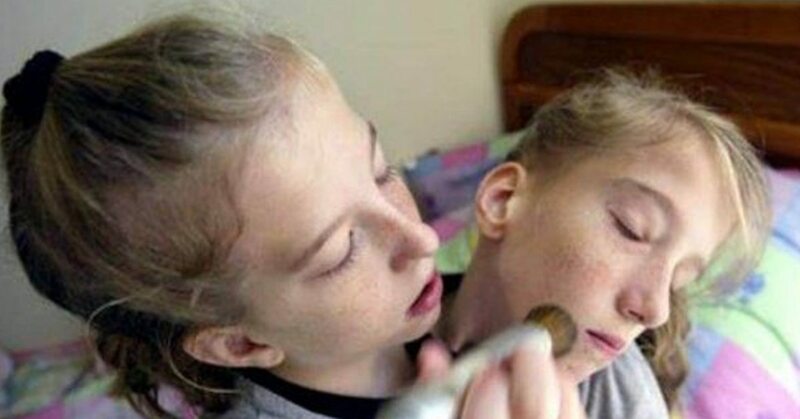 The fact that these two sisters are still alive today is a miracle. Abby’s head tilts laterally outward about 5 degrees to the right, while Brittany’s tilts laterally at about 15 degrees to the left, causing her to appear shorter even when seated. Brittany’s leg is in fact nearly two inches shorter than Abby’s; and Brittany tends to stand and walk on tip-toe which has made her calf muscle significantly larger than Abby’s. 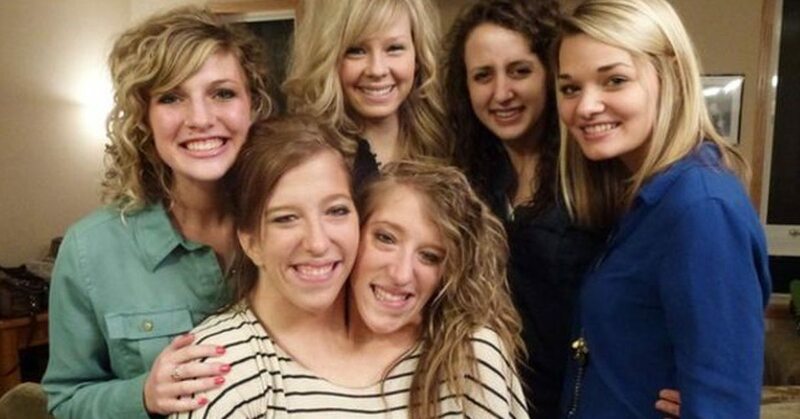 The continued growth of Abby’s spine was surgically halted after Brittany prematurely stopped growing. At age 12, they underwent surgery at Gillette Children’s Specialty Healthcare to correct scoliosis and to expand their chest cavity to prevent future difficulties with breathing. Each twin controls half of their body. Each twin is able to operate one arm and one leg, whichever is on their half of the body. Each one can write on their own, but some activities like running or swimming take the coordination of the two. 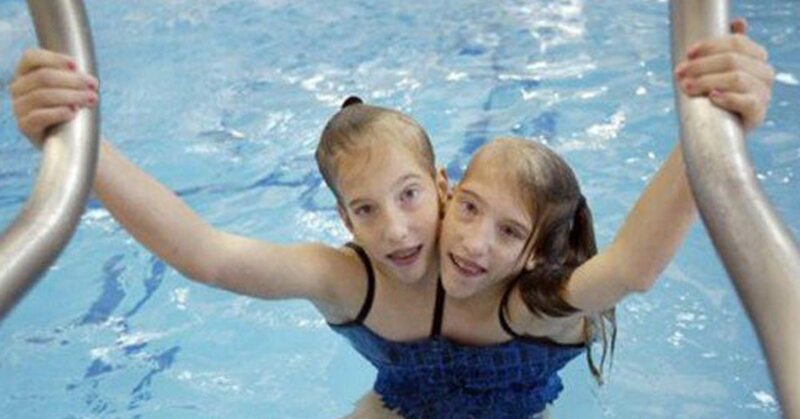 Each twin manages one side of their conjoined body. The sense of touch of each is restricted to her body half; this shades off at the midsagittal plane such that there is a small amount of overlap at the midline. Stomach aches, however, are felt only by the twin on the opposite side. They are effective in cooperatively using their limbs when both hands or both legs are required. By coordinating their efforts, they are able to walk, run, swim, and ride a bicycle normally—all tasks that they learned at a normal speed. Together, they can type on a computer keyboard at a normal speed and drive a car. However, their disparate heights (Abby, 5 ft 2 in (1.57 m), is taller and longer of leg than Brittany, 4 ft 10 in (1.47 m)) led to difficulty in balancing a Segway, as shown in their 2012 reality series. The twins both have their own drivers license. They had to take the test twice, once for each of them. While they are driving Abby must control everything on the right and Brittany controls everything on the left. The two girls have very different personalities and interests. Abby loves math while Brittany loves to write. The twins both successfully passed their driver’s license exams, both the written and driving tests. They had to take the tests twice, once for each twin. Abby controls the devices located to the right of the driver’s seat; Brittany, those on the left. Together they control the steering wheel. They both graduated from high school in 2008. They began college at Bethel University in Arden Hills, Minnesota, majoring in education. They had considered pursuing different concentrations within that major, but the volume of extra coursework was prohibitive. They graduated with Bachelor of Arts degrees in 2012. 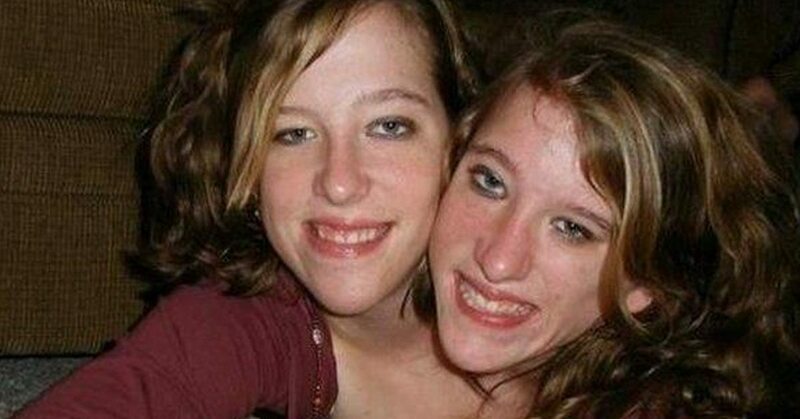 Two two have said that they don’t really mind being conjoined twins. The only thing that bothers them is when they get stared at by strangers or when random people want to get pictures with them. There is some concern about the twins’ continued good health, because only four known sets of conjoined twins who share an undivided torso and two legs have ever survived into adulthood, and most have congenital heart defects or other organ anomalies. None have shown up in their case. They intensely dislike being stared at or photographed by strangers while going about their private lives. In interviews for the Discovery Channel in 2006, they, then 16, said that they hoped to date, get married, and have children. They also stated that they hoped that by providing some information about themselves, they would be able to lead otherwise fairly typical social lives. The twins become known around the world when they were 6 years old. The twins appeared on‘The Oprah Winfrey Show’ and were also on the cover of Life magazine. The twins at first wanted to pursue different concentrations while they were in college. They ended up attending Bethel University and both majored in education. The twin graduated in 2012 with Bachelor of Arts degrees. Even though they share the same body, the twins have always been treated as separate identities. Two pair even buys separate tickets whenever they go to the movies. The twins appeared on The Oprah Winfrey Show on April 8 and April 29, 1996. In April 1996, they were featured on the cover of Life under the caption “One Body, Two Souls”, and their daily lifestyle was depicted in the corresponding article entitled “The Hensels’ Summer”. Life followed up with another story in September 1998. In 2002, they appeared in Joined for Life, a TV documentary by Advanced Medical Productions, distributed on the Discovery Health Channel and a 2003 follow-up, Joined at Birth. In 2003, an updated story of them at age 11 (filmed in 2001) was published in Time and again in Life. ABC TV also did a documentary called “Joined For Life”. In 2006, Advanced Medical made another documentary, Joined for Life: Abby & Brittany turn 16, that discusses their adolescence, school, social life, and activities such as getting their driver’s licenses. A UK television special followed in 2005 as part of the series Extraordinary People. They starred in the reality TV show Abby & Brittany that started in August 2012. Abby and Brittany: Joined for Life was shown by the BBC in the UK in May 2013, and covers the period from their finishing college to starting a part-time teaching job. The two don’t both get sick at the same time. Brittany has previously had pneumonia but Abby was not affected by the illness at all. 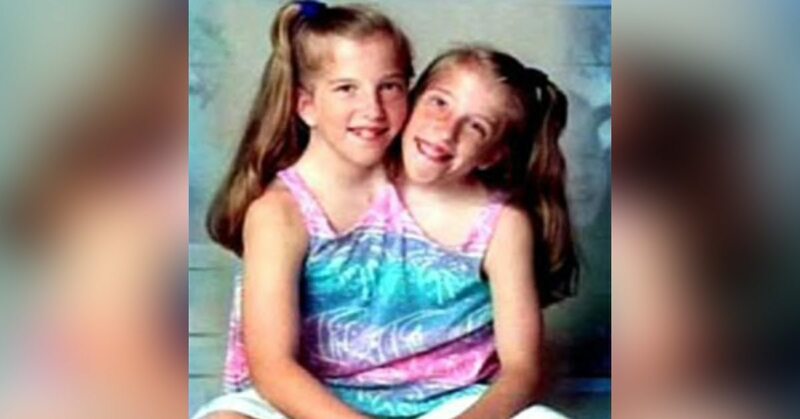 There are only four sets of conjoined twins known to have shared an undivided torso and two legs and survived into adulthood. 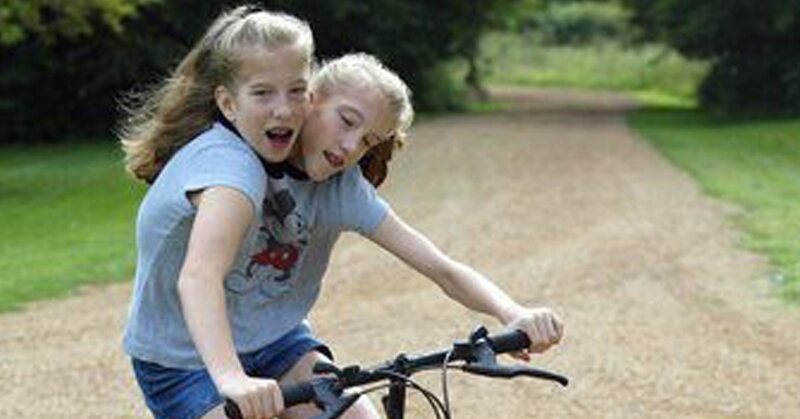 Many twins like Abby and Brittany have congenital heart defects or organ anomalies. Thankfully Abby and Brittany have not been affected by these issues. Abby and brittany have different styles so the clothes that they wear express that. They sometimes wear two different shoes or have leggings with a different color on each leg. The two walk differently. Abby keeps her feet planted on the ground while Brittany tends to walk on her tippy toes. Abby is slightly taller at 5 feet 2 inches tall. Brittany is 4 feet 10 inches tall. Brittany likes to wear neutral colors while Abby likes colors that are more bright and vibrant. 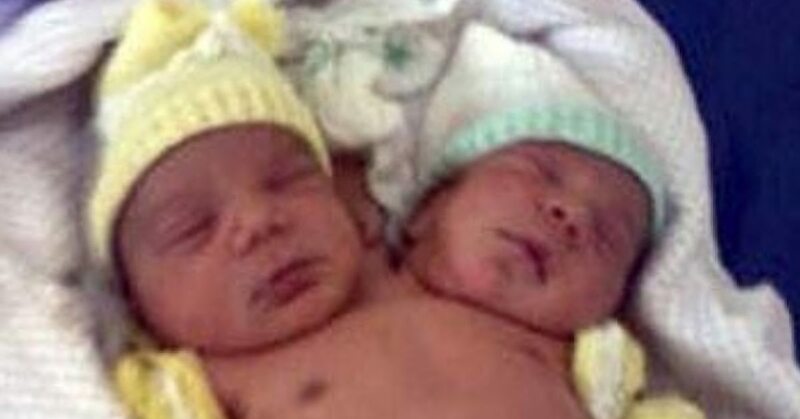 The twins were born with another arm between the base of their necks. The arm was removed so that the only thing there was a shoulder blade. The twins had said in an interview that they would love to one day be able to date, get married and have children. The two respond differently to coffee. Brittany’s heart rate increases while coffee doesn’t have much of an effect on Abby. The two have let the media into their lives. There have been special series of their story aired on TV about their graduation from Bethel University, their job search, and travels in Europe. Abby and Brittany have earned two teaching licences. They will only be paid one salary though because the work is technically done by one person. The twins have different body temperatures. Abby usually gets warmer a lot faster. Even though the twins only need to buy one ticket to fly, they still have separate passports. In conversation, the twins are clearly distinct persons, with distinct likes and dislikes. Their preferences in food, clothing color, etc., differ. Some of their clothes are altered by their seamstress so that they have two separate necklines in order to emphasize their individuality. They usually have separate meals, but sometimes share a single meal for the sake of convenience (e.g., each taking a bite of the same hamburger). Abby is better at mathematics, and Brittany is better at writing. For tasks such as responding to email, they type and respond as one, anticipating each other’s feelings with little verbal communication between them. In such cases as the latter, their choice of grammatical person is to use the first person singular out of habit when they agree, but when their responses do differ, they use their names in the third person singular. The two want to be teachers so that they can be role models and show others how to have a positive attitude towards life. Their first appearance on TV was in 1996 on The Oprah Winfrey Show. The twins captured everyone’s hearts with their upbeat attitudes and positive views on life. In 2012, their last TLC special aired which ultimately turned into a full-blown TV show for them. Since 2013, however, they have been keeping a relatively low profile. The twins are in sync now that they are adults. They said that is was difficult while they were younger but they now are able to coordinate with each other much better. They often have to make sacrifices to do an activity that the other enjoys but they both do enjoy bowling and volleyball. Even though the twins have had to face plenty of challenges in their lives, they are doing incredibly well! It takes such strength for these girls to go after their dreams. Their physical differences would hold some people back, but these sisters have an amazing drive and great ambition! Also, can you imagine going out in public and having people constantly staring at you all the time? Well, we are glad the Hensel twins are comfortable enough with who they are now to go out and live life to the fullest! And, not only are these girls living their lives to the fullest, they are also shaping the growing minds of our world! The twins have been working to become teachers and are changing the world for the better one student at a time. Their story is just another great example of how you can always use the lemons that life gives you to make lemonade. Now, in 2017, the twins are teaching (together, obviously) at Mounds View elementary school.